Great Northern Paper Co. LLC in East Millinocket. EAST MILLINOCKET, Maine — Great Northern Paper Co. LLC laid off 212 of its 256 workers at its already idled Main Street facility on Thursday as it struggles to overcome high energy and production costs. Forty-four employees will continue to work on cost reduction initiatives and keep needed systems running smoothly to allow for a production restart, hopefully in 16 weeks or sooner, company spokesman Scott Tranchemontagne said. Federal Worker Adjustment and Retraining Notification Act notices have not been filed, Tranchemontagne said, because the layoffs are not expected to last beyond six months. The WARN act requires most employers with 100 or more employees to provide notification to workers 60 calendar days in advance of plant closings and mass layoffs. “That timetable we started when we announced [the production curtailment on Jan. 23] hasn’t changed,” Tranchemontagne said. Duane Lugdon, a statewide United Steelworkers Union representative that handles the mill’s unionized workers, confirmed the layoffs shortly before Tranchemontagne announced them. The symptoms, Lugdon said, include high energy and production costs, plummeting market prices and savage foreign competition. On Jan. 23, Great Northern announced a production shutdown that would last for as many as 16 weeks. Tranchemontagne said at the time that the company’s 256 workers would stay on for at least two months working toward improving operating efficiencies, including improving the mill’s water and energy use. “GNP must focus on reducing all our various production costs, make critical investments to our operations and restart as a two-machine mill to be viable over the long term. We remain committed to working as hard as we can with all of our partners toward success,” Tranchemontagne said Thursday. Gov. Paul LePage’s spokeswoman, Adrienne Bennett, had no immediate comment on the layoffs. Julie Rabinowitz, a spokeswoman from the Maine Department of Labor said the state’s Rapid Response Team, which helps laid-off workers find retraining or new jobs, would probably respond to the mill situation within a few days. When he made the Jan. 23 shutdown announcement, Tranchemontagne said that the company had fallen behind on its payments to vendors and would work toward paying its suppliers. East Millinocket and Millinocket are still owed the company’s first-half tax payments for the 2013-14 fiscal year, with second-half bills due this month, officials from both towns said. The company owes Millinocket in excess of $2.3 million in taxes on its properties in that town, which include a Katahdin Avenue industrial park and a paper machine on site, Millinocket officials have said. Much of that gets refunded under tax deals the company has with the town and state. East Millinocket is owed $659,700 in property taxes this year, down slightly from the $700,000 town officials agreed to when the mill reopened in October 2012 due to a slight decrease in the town’s mill rate. Great Northern Paper and its parent, Cate Street Capital, is the largest single taxpayer in Millinocket and was, prior to the layoffs, the largest single employer in East Millinocket. 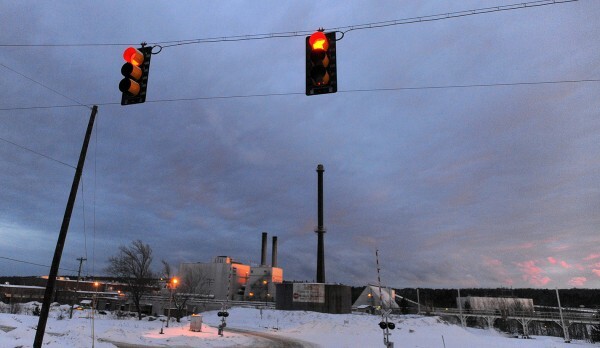 As part of the restructuring, the company discontinued plans to convert its heating system at the East Millinocket mill to natural gas, saying that natural gas prices were too unstable. The company makes paper for newspapers, fliers, inserts, manuals, catalogs, directories and paperback novels. Town officials responded to the production stoppage by announcing they would pursue zero-growth budgets this and in the next fiscal year, which begins July 1. East Millinocket Administrative Assistant Shirley Tapley said late last month that the town has sufficient cash reserves to get by without payment from Great Northern Paper. Millinocket has been struggling since last summer with a cash shortage but has built up more than $1.5 million in savings. Thursday’s news follows the temporary but indefinite layoff of about 200 workers from Lincoln Paper and Tissue LLC in December in the adjoining Lincoln Lakes region. An explosion that destroyed a recovery boiler and international competition caused that layoff.